Determining a home’s value is complicated, but critical to making the best sale. Price it too high and it languishes on the market, price it too low and you leave money on the table. To avoid either scenario, we look at several factors including location, local market conditions, neighborhood factors, age and the condition of the interior and exterior of your property (if available), to perform a detailed Comparative Market Analysis *(CMA). This 15-20 page professional report contains a wealth of information about your home, your neighborhood, comparable properties and most importantly a realistic pricing strategy and the suggested listing price for your sale. Our report is not the gimmicky “instant” and unreliable valuation tool often seen and used by our competitors. It takes some time, thought and work to prepare and is customized for your property based upon current market activity. Even so, we typically can have you a report within 24 – 48 hours by return email. The best part is that we provide this valuable report to you at no cost and with no obligation. We simply hope that when you are ready to sell your home, that you will choose the professionals at TechTown as your REALTORS of choice. Contact or call us today or simply fill out the short questionnaire below and we will get started on researching your home today. * This represents an estimated sale price for this property. 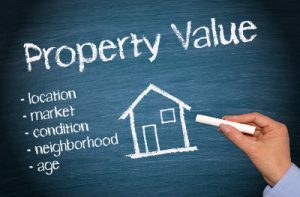 It is not the same as the opinion of value in an appraisal developed by a licensed appraiser under the Uniform Standards of Professional Appraisal Practice.